Winterberry (Ilex verticillata). Aquifoliaceae family. Shrub. Native. Swamps, bogs, wetland edges. Widespread. Fruits turn bright red in fall and remain into winter. 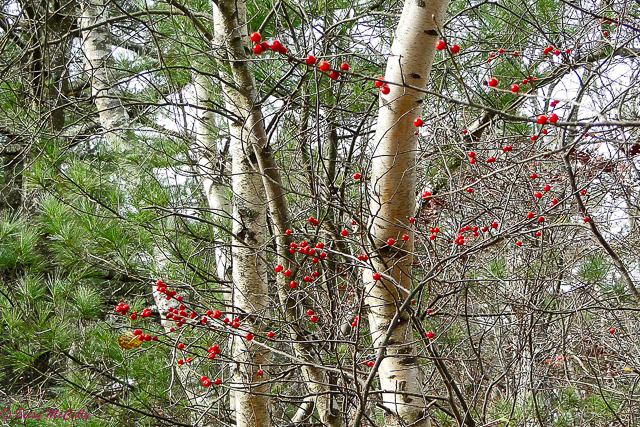 The berries show nicely against the birch trees. Sag Harbor, Long Island, 2017.